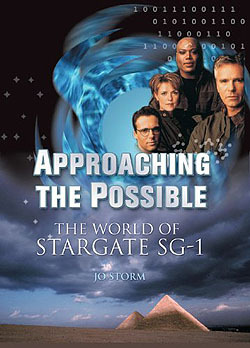 Serving as a comprehensive introduction for those who are just starting to watch, while also providing long-time viewers with an episode-by-episode guide to the entire eight seasons, this book is a must-have addition to any Stargate SG-1 fan’s library. Interesting facts for each show and numerous sidebars uncover not only the science and special effects behind the multi-season storylines, but also offer insight into the mythology of ancient Egypt. With exclusive interviews with cast members such as Teryl Rothery, Alex Zahara, and Christopher Judge, as well as writer Joseph Mallozzi and special effects supervisor James Tichenor, engage the Stargate universe from multiple angles.